Then, a few days ago, my friend, Amy Hollingsworth, sent me a note. 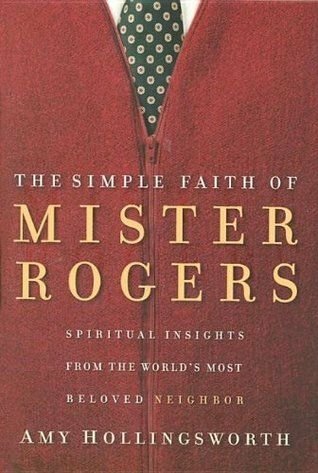 You might know her as the author of The Simple Faith of Mister Rogers. It’s a wonderful book and if you haven’t read it, do yourself the kindness. In any event, Amy said she was going through her cache of Fred-related letters and documents and came across the text of the speech in which Fred mentioned me. 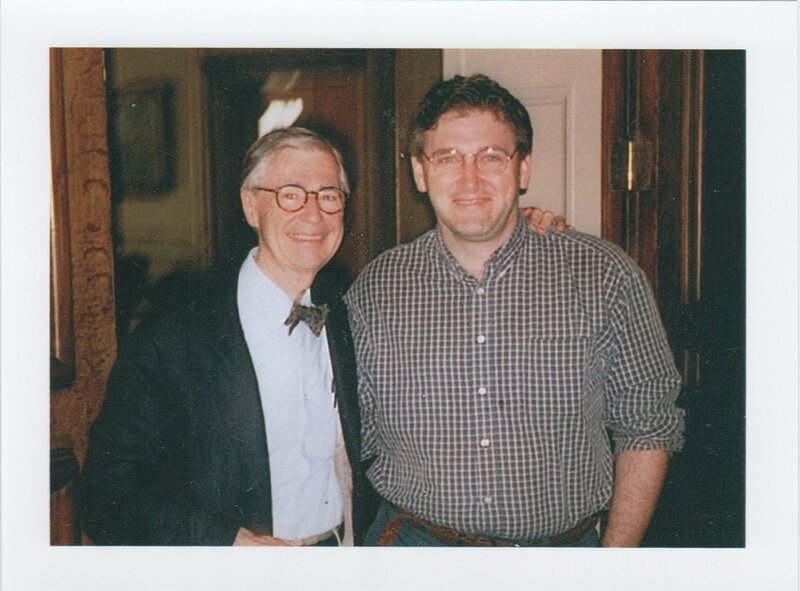 He delivered it in 1998 to the National Association for the Education of Young Children. Amy was kind enough to send me a copy. As I read Fred’s words, I could hear his voice. I bet you will, too. I’ve certainly been privileged to get to know and appreciate many people. The other day I was talking with a reporter from the Fort Worth Star-Telegram. He wanted to know more about my history in television, but I was much more interested in him. So he told me about an assignment he had to cover the story of the Mexican people who, when they learned of a proposed change in the U.S immigration laws, were coming in droves over the U.S border. Well, the reporter, Tim Madigan, was all set to go and interview some of the refugees, but at the last minute, Tim’s interpreter backed out, and Tim didn’t know how to speak Spanish. But he went anyway. And when he got to one point of the border, he found an American relief worker herding refugees onto an enormous U Haul truck. She was going to drive as many people as she could to a safe shelter fifteen hours north. Well, Tim Madigan got in the back of that truck with all those packed-in refugees and rode along not knowing a work of what his fellow riders were saying. After several hours, the driver stopped the truck. She bought some bread and lunchmeat and fruit juice and brought it to the people in the back whom she knew had to be very hungry. Tim told me that as the food was being distributed, those hungry people made it very clear by their gestures that before they ate, they wanted to be sure Tim had something to eat. They wanted to feed him. This all happened quite a while ago, and Tim still talks about it with tears in his eyes. He didn’t need an interpreter for what he was experiencing. You know, that kind of compassion which greatly ennobles life reveals something so deep about our existence that we stand in awe before it.